Today marks the release of Toukiden 2 in North America. Koei Tecmo is releasing the Omega Force developed action game on PlayStation 4, PlayStation Vita, and Windows PC via Steam. 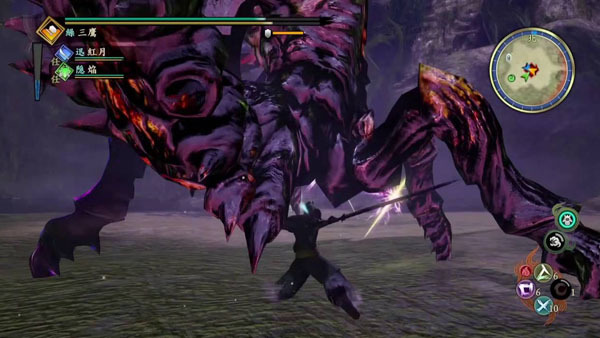 Toukiden 2 features a standalone story, so playing the original game is not required. For more details about the game, Koei Tecmo provided a press release. Burlingame, Calif. – March 21, 2017 – KOEI TECMO America today proudly announced the release of Toukiden 2, the latest entry in the gripping series of demon hunting action RPGs developed by Omega Force. Offering a vast open world, new combat elements, fresh online features for up to four players, and a brand-new standalone story, Toukiden 2 launches today with a new trailer for the PlayStation®4 computer entertainment system, PlayStation®Vita handheld entertainment system and digitally on Windows PC via Steam®. In Toukiden 2, players will assume the mantle of a mysterious Slayer who has awakened after a ten-year slumber to a world shrouded in darkness. Players’ battle skills and strategic acumen will be put to the ultimate test as they strive to save humankind in a vast and dangerous land known as the Otherworld, a tattered landscape divided into six distinct Ages which each represent an era of Japanese history. Repel the soul-devouring Oni alongside Slayers from around the world in the game’s rich online environment, complete with cross-platform play for PlayStation®4 and PlayStation®Vita players. Alongside a fresh and captivating narrative, the addition of Western lore-inspired Oni adds intriguing new adversaries to the Toukiden series. To combat these new looming threats, two series-first weapon types make their debut in Toukiden 2: the sword and shield, a combination offering a solid blend of offense and defense, and the chain whip, which allows for fast-paced maneuvers that can quickly tear apart Oni flesh. Each armament can be used for light and heavy attacks alike, and each offers special abilities that can be combined with a versatile, world-bending tool known as the Demon Hand to balance the scales of power when battling Oni. Defeating Oni will free souls of fallen heroes known as Mitama, who are based on Japanese historical figures and can be utilized to power-up your character, weapons, armor and the Demon Hand. New to the Toukiden series, the element of Control is also empowered by Mitama, which specializes in summoning Oni to fight for the player! For updates and more information on Toukiden 2, please visit the official website at www.koeitecmoamerica.com.com/toukiden2, Like KOEI TECMO America on Facebook at www.facebook.com/koeitecmous, and become part of the #KTfamily by following KOEI TECMO America on Twitter at @KoeiTecmoUS. This title has been rated “T for Teen” by the ESRB. ©2016-2017 KOEI TECMO GAMES CO., LTD. The KT logo is a registered trademark of KOEI TECMO HOLDINGS CO., LTD.